Honey Bee Weddings: Dessert before the entree? Intermezzo can be defined as a course between other courses to cleanse the palette. Popular in Italy, Intermezzo usually falls before the main course. 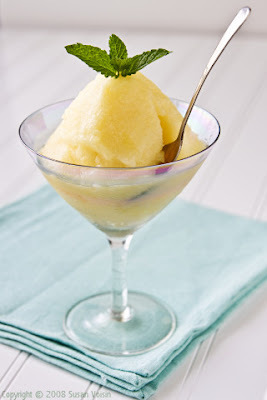 It is often a sorbet. Often times, this is offered in a wedding package. It's nice addition for a formal wedding.